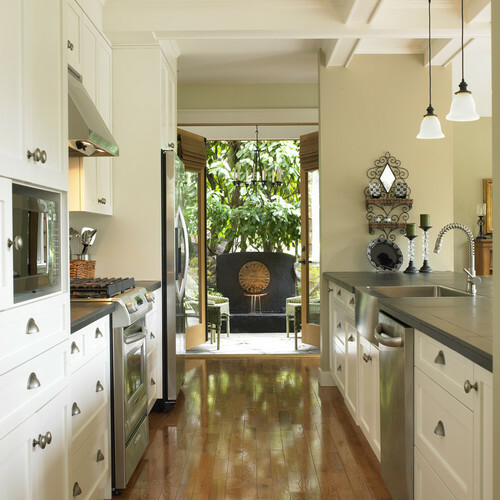 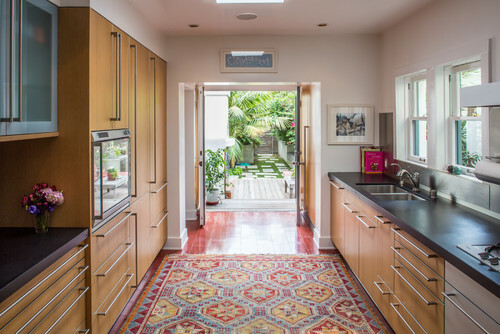 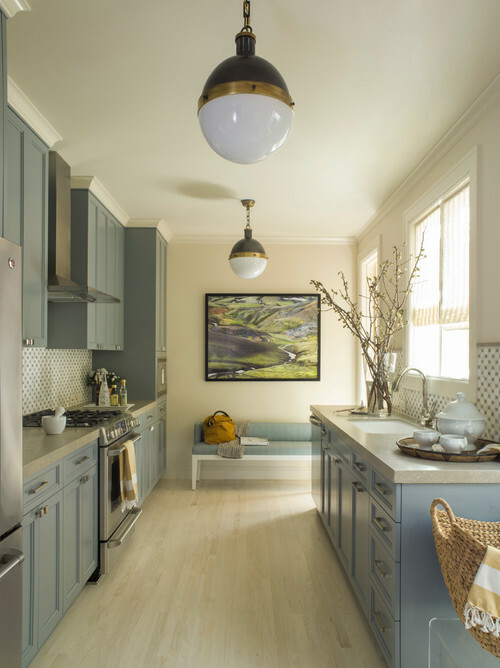 Galley kitchens include counters that run parrallel (and can include an island). 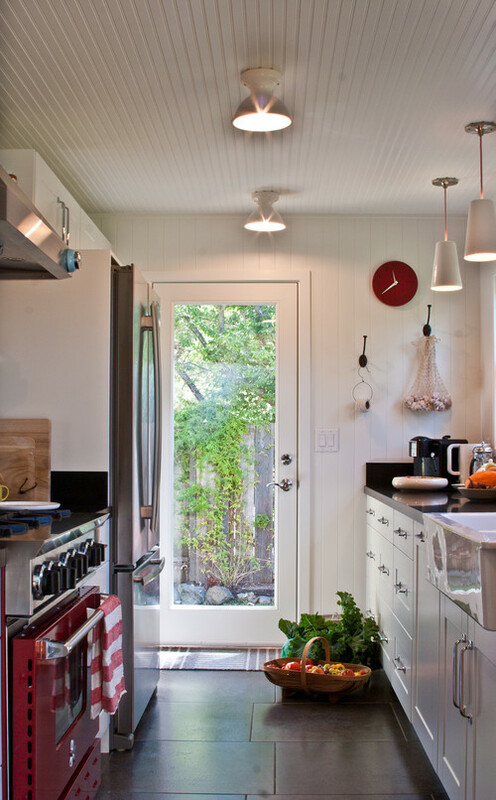 They are popular in apartments because they work well in a small footprint. 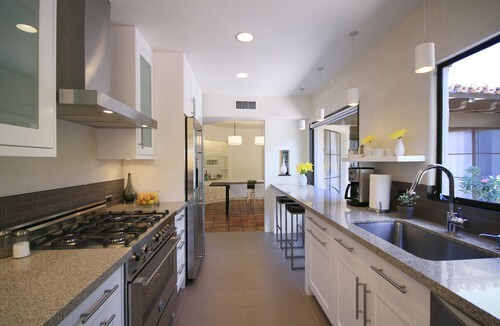 However, just because they are associated with apartments, doesn't mean they have to be low on style. 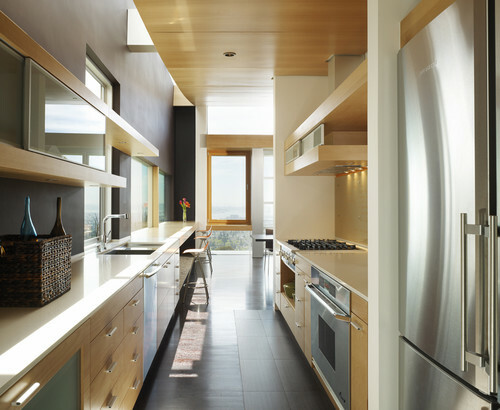 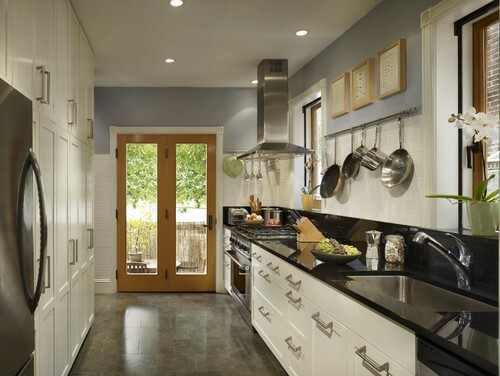 Contemporary Kitchen by Tucson Design-Build Firms Alta Constructors, Inc.
Makes planning the "work triangle" easy.